Writing an effective blog is more than just typing up a few paragraphs. You need to capture your readers attention and curiosity while also keeping their interest! The goal by the end of your post – have your followers become interactive with your blog and post comments or questions. So what can you do to prepare a good blog post? 1: Capture Interest – When you’re writing your post, you need to make sure the post creates interest so it will be read. In the Real Estate market some topics might be dull but if you pick topics that will spur interest you will have a better retention rate. Keep in mind too that you need to be interested in your topic as well otherwise the post will be very flat. Write about market trends, hyper-local area information, restaurants/shopping or other community events. 2: Create catchy titles – Titles sell! For example Blue Mountain Estates – while direct might be a bit dull, however titling a post ‘Gateway to Northern Virginia – Blue Mountain Estates’ has more appeal and evokes interest. Remember to also include geographical references in your titles as this will boost your blogs SEO. NEVER use a listing addresses for a title…ever! 3: Make it scannable – Scannable content is simply content that is formatted to be read with ease. 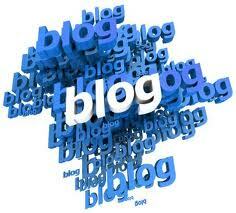 By utilizing the criteria below you can make your post more pleasurable to read. 4: Write personal articles – Along with information on your market and business write some personal pieces! Blogs unlike webpages are more casual so include your views or opinions – this is a great way to get readers to become interactive with your posts as well. 5: Use images – Images are a great way to add diversity to your blog post and most people enjoy seeing an image and making a connection. Photos can also be tagged with keywords relevant to your post which will boost your blogs SEO.Videos can also be included; they too can be tagged with appropriate keywords. 6: Don’t make it too long – Don’t lose the interest of your reader by making a very long post, break it up into multiple posts if necessary. Post should be no longer than 300-500 words. This will also help you build up your post archive for more relevant, searchable articles. 7: Discussion – At the end of your post, try to encourage some feedback. By generating discussion you create interest in your posts, which may lead to a relationship that results in business. There is no substitution for good writing but adding some of these points will make a good post – a great post! Please share with us some of the things you do on your blog posts that help you stand out. Previous postDoes Your Website Have What it Takes? I think you gave us exactly what you preached a “catchy title” and then a “blogging 101” directive. How to write a Market Leading blog needs to be more about making sure that you know WHAT your market is and keeping the focus on that market and nothing else. Bring national content down to a local level. Nobody cares about real estate outside of their market but EVERYONE cares about how that information effects their real estate. Toby thank you for the comment! We always instruct our clients to be hyper-local and really strive to be an expert in their niche, not the state or region. Displaying local market and area information is the best way to drive traffic to your web solution and/or blog. Best of luck! Good advice here. I try to always follow these guidelines when posting on my blog. Great – glad we could help Ben! Good luck!! Nice post. It’s hard to know WHAT the objective is of most real estate sites. I mean we know what they want, a registration (lead), but I see very little reason for potential clients to leave their info in most cases. Good point – we coach real estate professionals into using interactive closing when writing blogs or offer some sort of ‘reward’ for their readers so it is more of a give and take.